Can the DEA Demand Information about My Health Care Business or Practice without a Search Warrant? As a health care provider that deals in prescription medications, your business or practice necessarily involves at least some level of interaction with the Drug Enforcement Administration (DEA). Providers that prescribe, dispense, and administer controlled-substance medications are required to obtain DEA registration, and the DEA conducts routine audits of registered providers. This means that, at some point, you are likely to receive a request for records or information from the DEA. If you receive a request, are you required to comply? What are the risks if you do? What are the risks if you don’t? Audits and Investigations: When Are DEA Search Warrants Required? In some circumstances, the DEA can lawfully demand information from health care providers without a warrant. In others, a criminal search warrant or administrative inspection warrant is required. Regardless of whether the DEA is required to obtain a search warrant, if you refuse to comply with a legal requirement to disclose information to the government, you can face additional punishment on top of any penalties you may be facing for alleged prescription drug fraud. There are two primary scenarios in which a DEA search warrant is required. The first is a criminal investigation. If the DEA is investigating your business or practice jointly with another federal law enforcement agency and with the intent to pursue criminal charges, then it must obtain a judge-issued search warrant in order to compel you to disclose any records or information. The second is when a DEA registrant refuses to consent to an inspection following the issuance of a Form 82 (Notice of Inspection of Controlled Premises). In non-criminal matters, the DEA can obtain an administrative inspection warrant without meeting the requirements for a criminal search warrant (most notably, the requirement to establish probable cause). These warrants are routinely issued, and they give the DEA broad authority to inspect and collect hardcopy and electronic records pertaining to providers’ billing and prescription practices. When you apply to register with the DEA, the DEA can demand information relevant to its assessment of your application without the need to obtain a warrant. If you give informed consent in response to a Form 82, then the DEA can conduct an administrative inspection without a search warrant. In order for this consent to be valid, it must be in writing, and it must reflect your understanding that (i) you have the constitutional right to refuse consent, and (ii) any information obtained during the inspection can be used against you. If you consent to a search during a criminal investigation, the DEA is not required to obtain a search warrant. DEA agents are trained to solicit information from health care providers and their personnel within the confines of the law and without the need for a warrant. And even if you are not aware of your right to withhold consent, any information you provide voluntarily will be admissible against you. Like other federal investigative agencies, the DEA has broad power to issue administrative subpoenas to individuals and entities within its jurisdiction. Through its subpoena power, the DEA can demand access to health care providers’ books and records during an inspection without obtaining a search warrant. When DEA agents reasonably believe that the ongoing operation of your business or practice represents an imminent danger to public health or safety and there is not sufficient time to obtain a warrant, then the DEA can conduct a warrantless investigation. If the DEA contacts you or a member of your business or practice and request s information without a search warrant, what should you do? It depends. While it may be advantageous to voluntarily disclose information under some circumstances, you do not want to make the mistake of volunteering information that supports criminal charges or the denial or revocation of your DEA registration. As a result, your first step after receiving an inquiry from the DEA should be to consult with a health care fraud defense attorney who has specific experience in matters involving the DEA. Do not assume that the DEA’s inquiry is misguided. Even if you do not think it is possible that you could be charged with violating the Controlled Substances Act (CSA) or any of the various other federal statutes that apply to health care providers, you still need to take the DEA’s inquiry seriously. 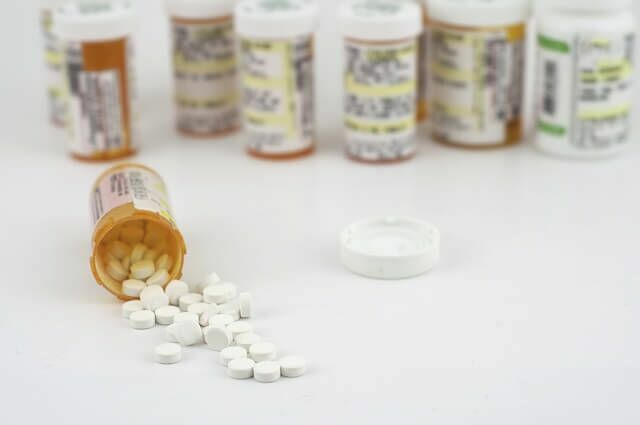 Many of these laws are extraordinarily complex, and federal authorities are aggressively pursuing all possible charges against providers who deal with opioids and other prescription medications. Do not assume you are guilty. We have been able to resolve the majority of our clients’ cases without civil or criminal charges being filed. Being investigated does not mean you are guilty. And even if you have violated the law, you could still potentially have several defenses available. Do not assume that “cooperating” will help you avoid charges. While a strategic approach to working with the DEA can help you avoid unnecessary consequences, if you simply volunteer information, you can expect it to be used against you. Do not destroy records or try to mislead the DEA. While cooperating with the DEA can backfire, attempting to destroy records or mislead the DEA will almost certainly take your situation from bad to worse. If you or any member of your health care business or practice has been contacted by the DEA, we encourage you to contact us promptly for a free, no-obligation consultation. To speak with a health care fraud defense attorney at Oberheiden & McMurrey, LLP in confidence, call (888) 519-4897 or request a consultation online now.